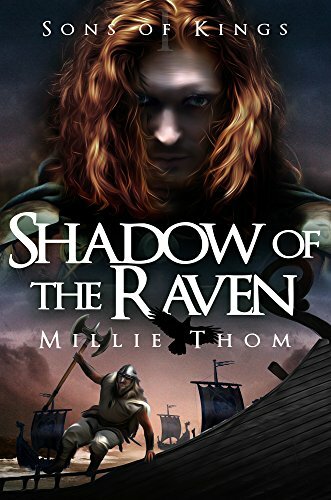 The life of Eadwulf, ten-year old son of the Mercian king, is changed forever when his family is betrayed to the Viking Danes by his treacherous uncle. In a devastating Danish raid, his father is killed, his mother raped, and along with his tutor and childhood friend, Eadwulf is captured and taken to the Danish lands to be sold as a slave. As a slave in Jarl Ragnar's village, Eadwulf's life is hard, his days unbearably long. But on the return of Ragnar's eldest son, Bjorn, from his summer raids, his life begins to change. Eadwulf spends the next few years aboard Bjorn's beloved dragonship, sailing to places he'd never dreamed of, trading and raiding. And although still a slave, he becomes a well-respected member of Bjorn's closely knit crew. Yet through it all, the desire for revenge on those who destroyed his family refuses to abate. Eadwulf's story plays out against the backdrop of events unfolding in Wessex in the face of escalating Danish raids. Alfred, the youngest son of the Wessex king, faces family tragedies from an early age, losing first his mother, then his beloved sister when she is married to the new Mercian king: Eadwulf's treacherous uncle. At his father's court and the successive courts of his elder brothers, he learns the weighty art of kingship. And, like Eadwulf, he learns the harshest lesson of all... that a trusted kinsman can so easily turn traitor.